Back around Easter I won a massive bundle prize from Little Bird and Micro Scooters and as part of the prize I won two Buster bunnies from milliemanu and so I thought it would be nice to give one away to a new home. 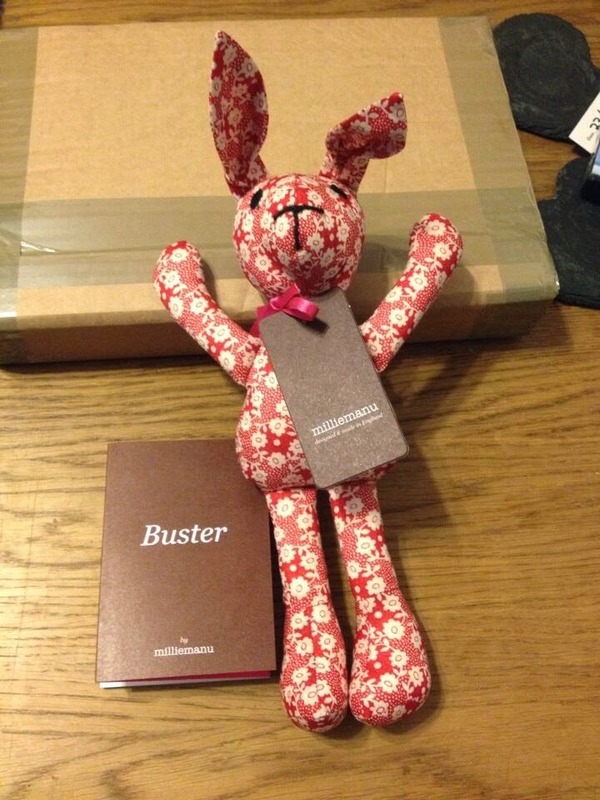 Buster Bunnies are milliemanu's sustainable bunny that has been developed for charity Kids Company, with all profit from sales donated to their 'Poverty Busting' campaign to help the increasing number of vulnerable and hungry children in Britain. The bunnies cost £19 each and can be purchased here with each sale helping to provide up to 10 hot and nutritious meals at the Kids Company drop-in centres. Since 2011 the charity has seen the number of self-referrals increase at their drop in centres by more than double with 85% of new children simply asking to be fed. The bunny has been made in London with high quality Liberty print fabric off-cuts. Each bunny is therefore entirely unique. The bunny is made from 100% fine tana lawn cotton. Due to the delicate nature of the fabric it cannot withstand significant forces and therefore care must be taken with children under three. The bunny I am giving away is a lovely red with a very pretty flower design. By giving this to you child you can maybe tell them the story of how Buster bunny came about and how he is helping other children throughout the UK. 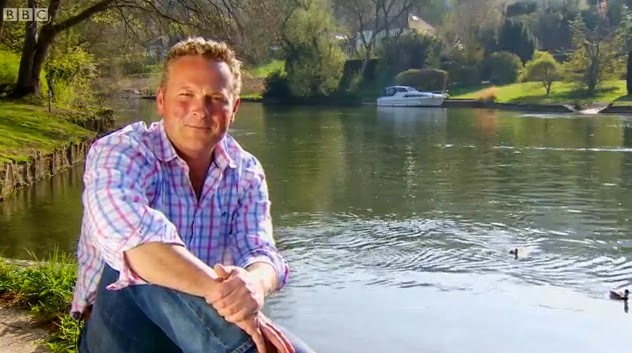 As I mentioned in a previous post I am a huge fan of Jules Hudson from Escape To The Country and Countryfile. I first started watching Escape To The Country many years ago when I was still living with my mum. We both loved the show as we both enjoy the countryside and love seeing the amazing houses with the budgets that someone like me could only dream of. Every afternoon we would sit down and watch Escape To The Country and choose the house we liked the best. 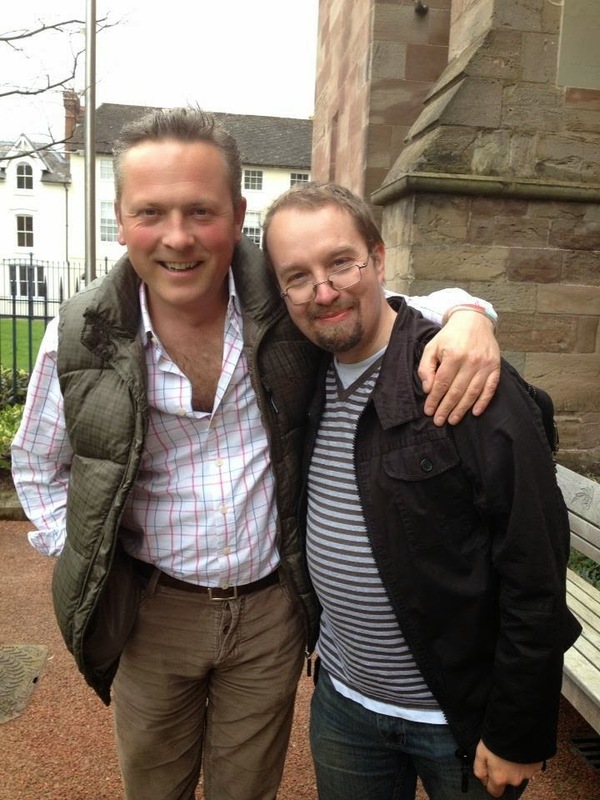 After a few weeks of watching the show one presenter started standing out from the rest, Jules Hudson. It's not just the fact that he is incredibly handsome and always looks like he belongs in the country with his rosy cheeks and his lovely shirt/jeans combos or his lovely well spoken voice but he stood out because of his connection with the house hunters on the show, he just has a lovely way with people. He looks so relaxed around the house hunters and in turn it relaxes them and so makes the show more enjoyable to watch. It's especially nice when he gets a couple of house hunters that he really connects with and they can have a joke and laugh too. So I started taking an interest in Jules and his work. At the time there was a Facebook group dedicated to Jules but it was a very quiet group and so after some time trying to revive it a bit I decided to set up a new Facebook group with the help of a few others. The purpose of the Jules Hudson Fans group is to meet other fans, discuss the shows Jules is on and any other information about Jules' work. The group has really gained in numbers and we have many members from all over the world as Escape To The Country is shown in Australia and many countries throughout Europe. I spend a lot of time getting screencaps of Jules for the group but I don't mind I actually enjoy doing it them and sharing with the other members of the group. I always say the group wouldn't be a group without all the other fab members that participate in chats and keeping the it active. After setting up the group I started trying to get in touch with Jules by sending him letters about the group via his agency. I then came across his lovely PR lady at the time Jane on twitter and she helped a lot by asking Jules our questions and getting in contact with him for us. Then one day Jules sent me an email through a friends account on Facebook. It was amazing to hear from him. Jules doesn't have his own Facebook account. He then one day rang me, it was so lovely to get to chat to him and I felt so lucky. Last year Jules kindly agreed to meet up with me. Neil (my fiance) and Tania (Jules' partner) came along too. We had an amazing time, we had a chat, some lunch and Jules answered questions from the fans in the Facebook group and signed some goodies for our fundraising raffle. I was so nervous about meeting him but when I got there I calmed down especially because Jules and Tania are so friendly and very easy to talk to. One of the things I really like about Jules is he is just a down to earth normal chap, he is not full of himself and doesn't really see himself as a celebrity (even though he is). If people stop him in the street or wherever he is happy to say hello and have a chat. Having lunch with Jules, March 2013. Jules joined twitter a few months after I set up the Jules Hudson Fans twitter which has been so great as he posts pictures from when filming and also gives us a little bit of insight into what he gets up to in his spare time in his home. A few months after I first met up with Jules he rang me to say he was filming at Severn Valley Railway near where I live and would I like to go along and watch. I jumped at the chance. I only got to see half an hour of filming but so much work goes into making the show and Jules is just so natural and professional. It was such a great experience to meet the team and see the work they all put into creating the show. It takes a week to film one episode of Escape To The Country which is on television for 45 minutes. The whole team work really hard and I know that it doesn't end there as the editing team have to go through the footage and piece the show together and Jules also needs to do the voice overs for various sections of the show. Last month I went to meet up with Jules and Tania again with Neil and we had a brilliant time and got loads of amazing signed goodies that Jules donated for our fundraising for his chosen charity The Labrador Rescue Trust (we had a little raffle for everyone who donated to have the chance to win the goodies - we raised a total of £579.03). We even made a little video (sound quality is a bit poor due to the wind). Jules is such a lovely man and our fan group is very lucky to have contact with him and all the things he does for us. I continue to enjoy watching Jules on Escape To The Country and Countryfile. 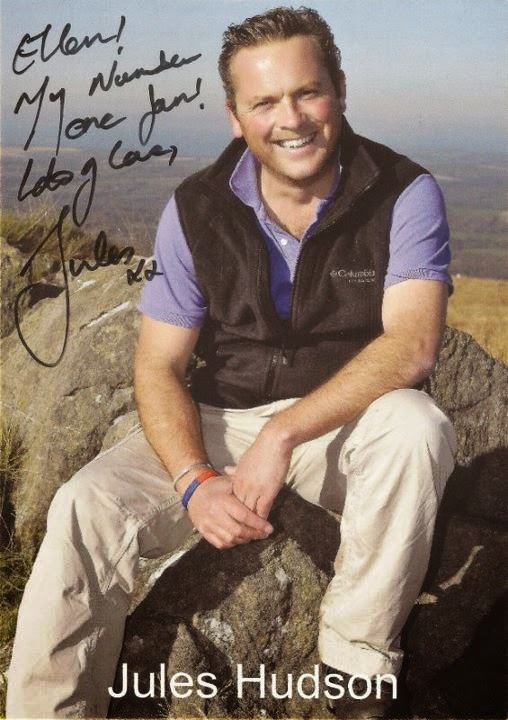 I am sure Jules will be presenting for many years to come as he is such a talented television presenter and has a great interest in the countryside and history. I enjoy running the fan group on Facebook and Twitter and chatting to other fans and we are hoping to have a group meet up with Jules in the future which will be great fun. After meeting Jules and speaking to him so often I would like to think he is one of my friends but in reality I know I will always be his fan......hopefully a very good fan and I very grateful to Jules for all his help and time. On Monday I received a Fuleco World Cup mascot signed by Tottenham Hotspur legend Gary Mabbutt which I won from Continental Tyres on twitter. He is fab and this is a great addition to my autograph collection. I have over 500 autographs in my collection so always happy to add to it. 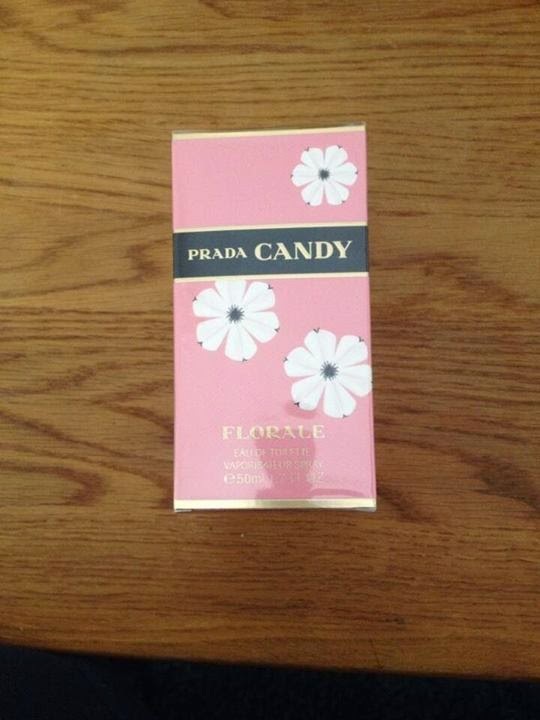 I also received a lovely bottle of Prada Candy Florale Perfume on Monday. I won this prize from Fragrance Direct on twitter. The bottle is 50ml and worth £46.50 to buy. According to the website the fragrance is all about Peony with top notes of joyful sorbet Limoncello, sparking fresh. At the heart of the fragrance is a majestic bouquet of peonies, with the base of musk, benzoin and caramel. Whilst I am sure this perfume smells delightful I am saving this to give to someone in my family as a present. Being unemployed at the moment winning competitions really helps out with presents for the family. So I haven't tried this one out myself. 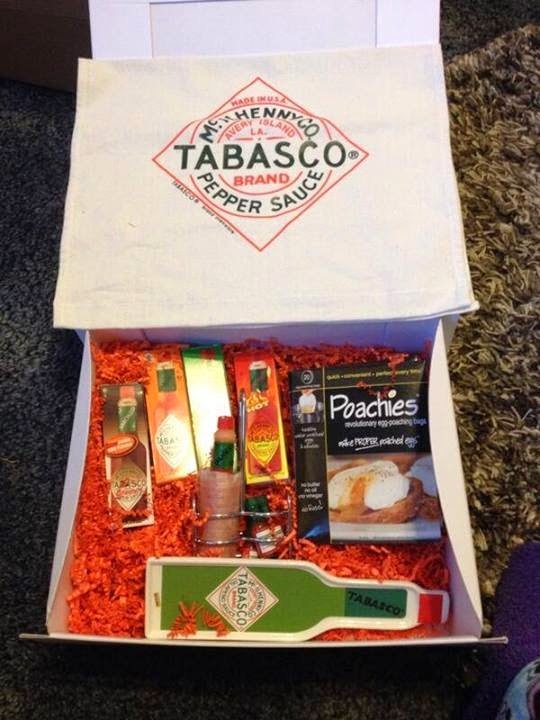 On Wednesday I received a Tabasco Sauce Hamper from Staffordshire Living. My fiancé Neil loves Tabasco sauce so he is very happy with this prize. It includes a range of different Tabasco sauces, some poachies bags which help to make great poached eggs, a little tray, a bottle holder, a tea towel and a candle in the shape of a bottle of Tabasco sauce. A lovely prize. 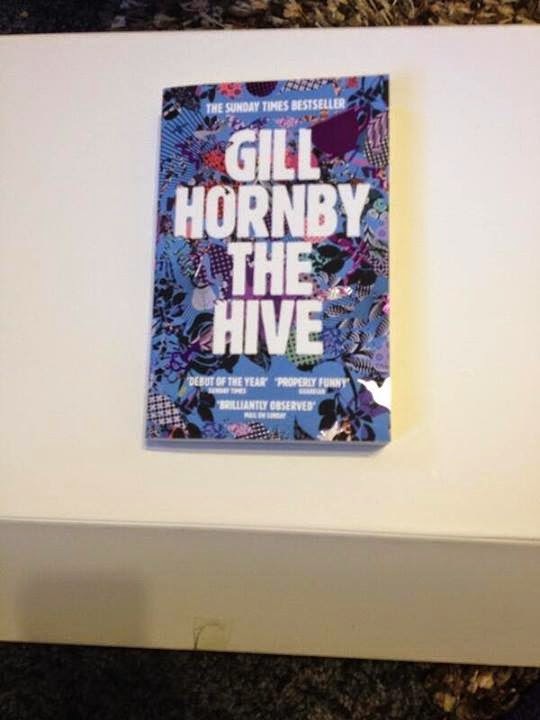 I also received a book called The Hive by Gill Hornby. I won this from Waterstones who want me to review it for their website which I will do. I have just started reading it and it's definitely my type of book so far. 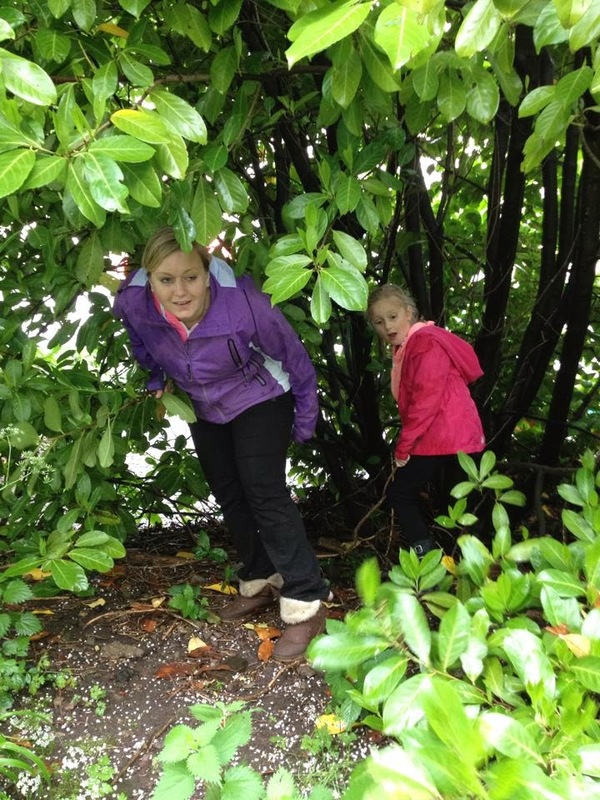 The story is based around a group of mum's who meet up in the school playground when dropping their children off. Looks like it's going to be a good read. I am quite a slow reader but I should finish it in the time that Waterstones want me to read it and review it. I love reading, it's one of my favourite ways to relax. 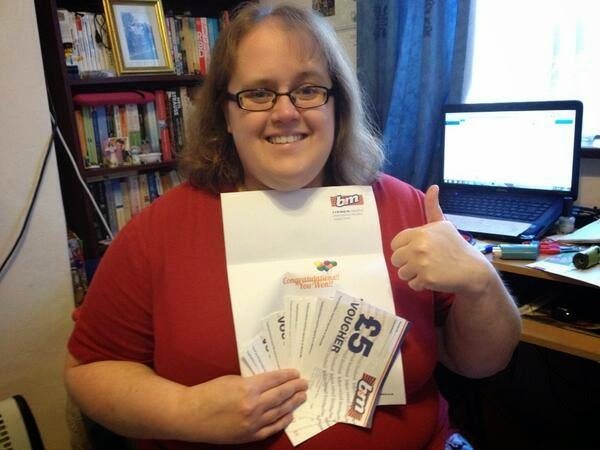 My favourite win of the week is £100 B&M Stores vouchers which I won on their Facebook page. For anyone who enters their competitions regularly they will know that they get around 20,000 or so entries per competition so I was very lucky to win these. I love B&M Stores and we often shop in our local store. We will probably spend most of it on food goodies and maybe get something nice for the house or garden. They usually have a competition each week so keep an eye on their facebook page and enter as even though lots of people enter you never know when it will be your turn to win! On Thursday I received part of the huge prize I won at Easter, some activity/sticker books from Puffin Books. 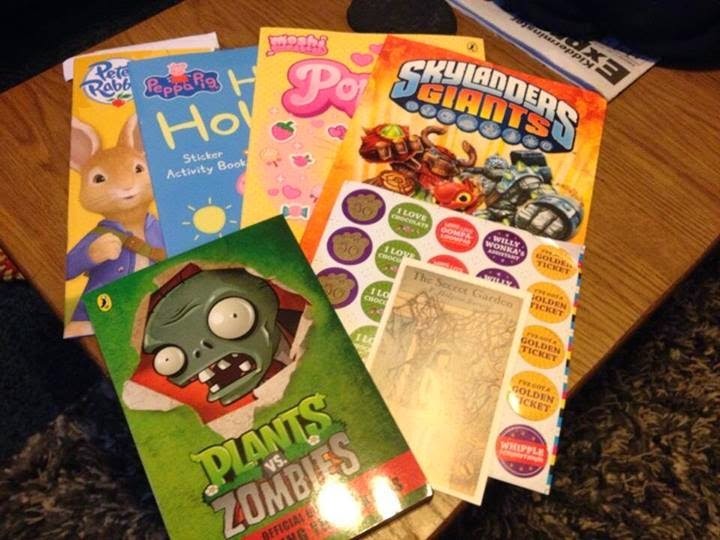 The books I received are Peppa Pig, Peter Rabbit, Moshi Monsters Poppet, Skylanders Giants and Plants vs Zombies. My nieces and nephews will love these especially as most of them have stickers in. I also received some really cool Charlie and The Chocolate Factory stickers and a The Secret Garden postcard. This is a prize I will definitely take back to Bath with me when I go to see the family. 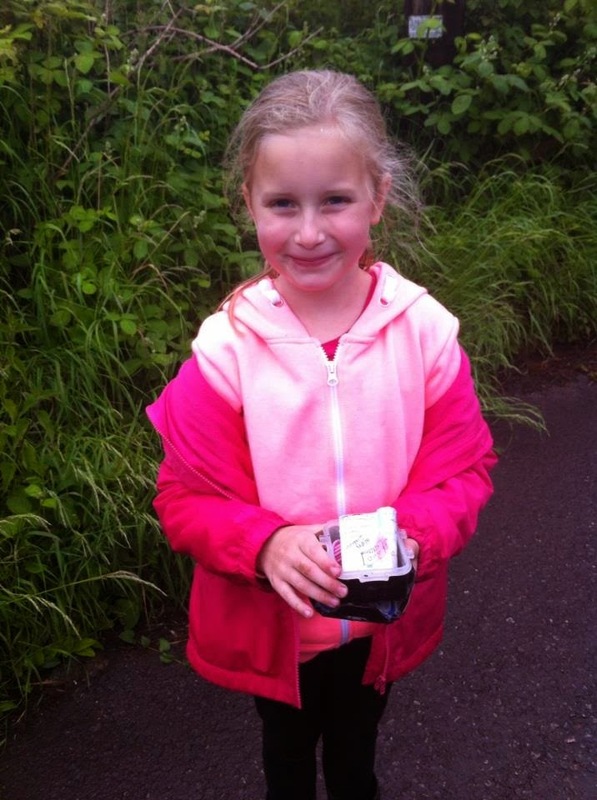 I also won 1000 Tesco Clubcard Points from Tesco Clubcard on twitter. I think that 1000 points equals £10. Every little helps so I will probably spend it on the food shopping. And finally....today we went to another dog show in another local park. 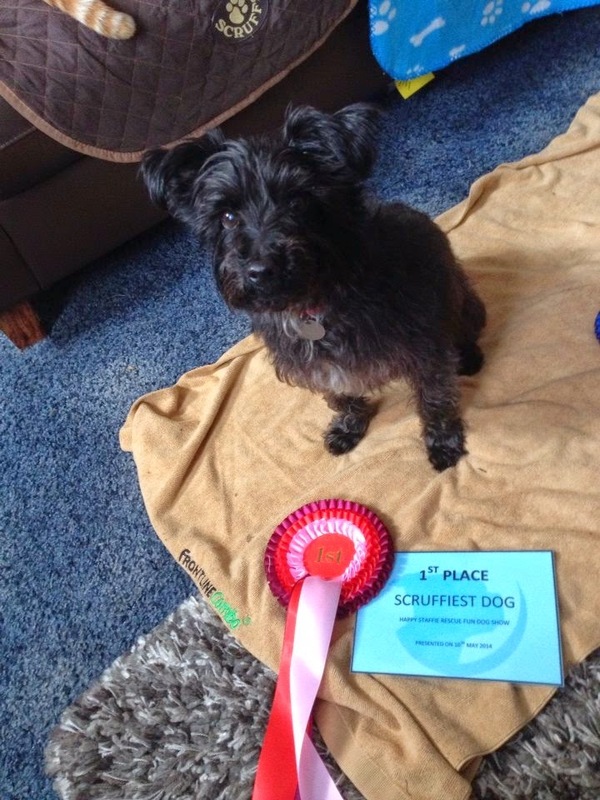 It was a lot busier than the other dog show we went to but I am really proud to say that Shortie came 2nd in the scruffiest dog category. It may sound weird that I am celebrating the fact that Shortie is a scuffy dog but it's part of his character and to me he is the best most handsome dog in the world. It was a lovely day. He received a rosette, certificate and a goody bag with lots of smelly fish treats in and a toy. I wish everyone the best of luck in any competitions you may enter this week and remember you have got to be in it to win it. This week is Mental Health Awareness week and so I thought it would be a great time to write about my depression and how it has affected my life. Living with depression is not easy. At it's worst hard to focus on day to day activities and it's also hard for your loved ones around you to understand and deal with too. I was diagnosed with depression when I was 18. I have also seen my younger sister suffer from the same type of depression too and how at the time it affected the family as a whole but I really want to focus on my own depression in this post. happy as it looks in this picture. 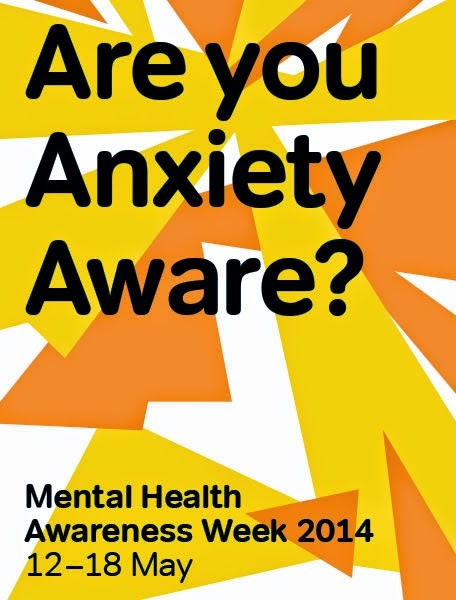 This year's theme is "Anxiety" which is something I have battled with since I was at least 11 years old. I think it was when I started senior school that I started to notice that I had a problem but I never really spoke up about it until I was a lot older and had finished school. I wasn't a very popular child at school and had a small group of friends. I have never been a very confident person. 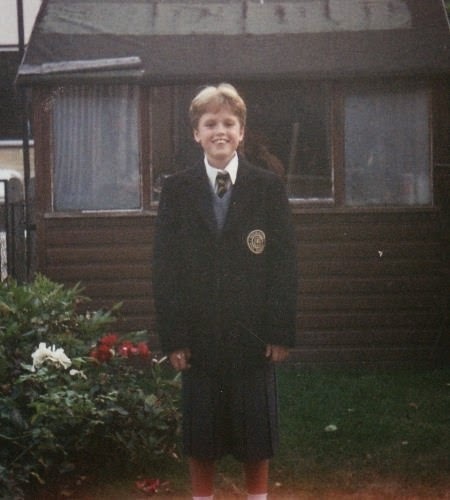 I found moving from primary school (where I felt comfortable) up to senior school really hard. All I remember was that I found being in a big group really hard so school assemblies became my first nightmare. If I was sat in a school hall full of other pupils I began to start panicking. I started obsessing that I was going to either throw up or wet myself and how embarrassing it would be if any of those things happened. It wasn't something I could stop thinking it was there all the time in that situation. I would go hot and feel like I was going to be ill and my heart would race. This carried on and progressively got worse as I went through the years until in the end even in class I would worry I was going to wet myself. I would religiously leave going to the toilet until the very last minute before I had to go into class and then sometimes I would even put my hand up and ask to go because I felt desperate only to get to the toilet and nothing to come out. I would panic and concentrating on anything in class was really hard. Other fears would be going on school trips and feeling sick on the coach which is why as much as I could I would pretend to be ill on school trip days so I didn't have to go. The hardest thing of all though was exams. Doing my GCSE's at the time was the hardest thing I have ever done. I got into the hall and sat and panicked. Focussing was really hard because the "what if I throw up/wet myself?" question just continually went around in circles. I remember really stressing about the Geography exam because it was 2.5 hours long and the longest exam I had to do. I made my mind up there and then in that room that I would never do A-Levels because I couldn't handle the extra 30 minutes of the exam. Some people might think think this is a little odd but I came out of that Geography exam feeling on top of the world because it was over and I had got through it. Not because I thought I did good in the exam but just because I managed to do it without throwing up or wetting myself. The question a lot of people have asked me when I have discussed this before is "have you ever thrown up or wet yourself in public? where did this obsession come from?" and the true answer is no I have never thrown up or wet myself in public and I have no idea where it came from. Anyway I did my GCSE's and came out with a B in Geography, a C in English Language and Maths, D's in everything else and E's in Science (which I was never good at). I went on to college and had the same fears and ended up giving up the course after 6 months and then decided education just wasn't for me any more. It would be lovely to say that these thoughts went away but no the obsessions over throwing up have continued into my adult life, right up to this day. Though I don't seem to panic about needing the toilet now. There are certain situations that I find really difficult, in particular cinemas and theatres and travelling on public transport. There is no point in me going to the cinema or theatre because I just don't enjoy it. By the second half of the film/show I might have calmed down slightly but by which time I would have missed the first half obsessing in my mind about throwing up. The public transport again is a similar thing because it's me trapped in a space with other people. All of the anxiety is based around the what if something embarrassing happened? The thing is whilst I sit here and type this I know it sounds a bit silly and that even if you did throw up people aren't going to continually think about it. 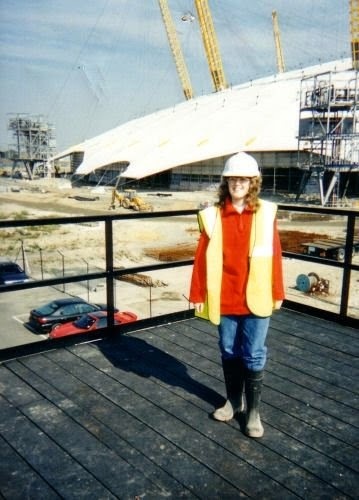 When I was 18 I had an amazing job doing IT Support which I fell into and really enjoyed. I started to get a bit of confidence and even travelled to London a few times but then one day I got glandular fever and that's when my world changed forever. Around the time I had a lovely boyfriend called Pete who loved me, but one day we had an accident and I found myself having to take the morning after pill. Not long after I took the pill my tongue bloated up. I had an allergic reaction but when I went to the doctors he said that no one had ever had an allergic reaction like it before and it was caused by stress. It was embarrassing because I couldn't put my tongue in my mouth and I couldn't speak properly and my family found it funny but to me it was distressing. The doctor saying it was caused by stress made it worse because it became my new obsession. I can't tell you the amount of times I went to the mirror a day to check to see if my tongue was any bigger than normal. In my mind I was obsessing that my tongue wasn't the right size and I was going to have this all the time and it would bloat up when I am say walking along the street and everyone would laugh at me. Then it changed and I started feeling like parts of my body were aching and kept thinking I had a million and one different things wrong with me. I ended up going to the GP many times who then told me there was nothing wrong with my body and it was psychosomatic. They put me on Diazepam and told me it would help but that I couldn't be on them for too long as they are addictive. A month or so later it was decided that I needed to stop taking them and go on to anti-depressants (I can't remember the name now). So I came off the Diazepam in one day. I will never forget that night I was at Pete's and at about 3am I woke up with a burning sensation all over my body. I told Pete that I was burning and to call the fire brigade (which of course he didn't) and everything but later when I called the out of hours doctor he told me it was a panic attack and I was hyperventilating which was probably due to coming off the tablets. It took about a month for the new anti-depressants to work and I started to feel a lot better. I stopped feeling like parts of my body were aching and stopped obsessing over my tongue bloating up. I started to see a light at the end of the tunnel. But then I moved doctors surgery. The new doctor could see I was putting on weight. When I was 18 I was 8 stone but now a year or so later I was up to about 13 stone. He said he thought I was well enough now to come off the tablets and so within a month or so I came off them. A couple of weeks later I hit rock bottom. I started having horrible thoughts. I am not going to go into great details here about the thoughts as whilst I have dealt with them they are not something I personally feel comfortable telling the world about but suffice to say they were nasty thoughts and they were obsessive. I couldn't get them out of my head, from the moment I woke up until the moment I went to sleep I had nasty thoughts. I thought I was going to mad. The doctor asked me if I had voices in my head and the answer was no. It was just thoughts, nasty nasty thoughts. I felt panicky all day. I felt on edge. I felt anxious. I felt like I couldn't eat. You know how it feels when you have a test or exam? you get nervous and butterflies in your stomach. Well I had that constantly. Now this is the important bit. I never have had problems talking about things. I think it's because I have been brought up by my mum and we have always been able to talk so I didn't find it hard to tell my mum and go to the doctor and tell them. I just wanted help desperately and for the obsessive thoughts to go away. In my mind the only thing that would calm me down for a few seconds was the thought that if it got too bad I could kill myself. So the doctors put me back on a different anti-depressant called Clomipramine. I also went to counselling and I even tried hypnotherapy to see if I could get extra help but at the end the only thing that actually did help me was the pills. I went back to my normal self, still with the "what if I am sick" obsession in certain situations but not the nasty thoughts. At counselling and hypnotherapy I was told that the reason I was depressed was because my parents split up when I was 7 years old. Whilst I have sat and thought about this over and over again, in my mind I know that it's not that at all. I still saw both my parents and still knew that whilst Dad lived somewhere else he still loved me and I saw him each week. A couple of years after my depression started my sister had the exact same type of depression too which makes me believe that it's something in our genes. Though of course I am not a doctor or an expert but I know how I feel and I have seen how it has affected my sister in the same way. We have both been told we will be on our anti-depressants for the rest of our lives and the way I personally see it, if it makes me feel better and not like I am going mad then I don't mind having to take a pill every day for the rest of my life. Also I may be 10 stone heavier than I was when I first had depression but I would rather be that than feel the way I felt. Don't get me wrong, I still have blips and times where I feel "jittery" as I call it. Where I feel a little bit anxious. My biggest fear in life is that the depression will come back. Depression is really hard also for the people around you but the one important thing is, it's always good to talk. Bottling things up and suffering in silence is the worst thing you can do. Once you start opening up to people and talking about depression you realise how many other people have had similar problems in their lives but they just don't tell anyone. The hardest thing with depression is you can't see it, you can't read someone's mind. If you break your leg people can see it's broken but depression you can't see. Even though when you have depression you think people are looking at you differently they are not, most people don't know unless you decide to tell them. To me depression is the worst illness I have ever had to deal with and it's something I still fear a little but something that I have under control and I just have to live with. Please if you are reading this and are suffering and you are scared to tell anyone don't be. I had the worst possible things going around my head and I was a little worried about telling the doctor. I wasscared they would lock me up or something but they have heard it all before and were calm and knew what action needed to be taken. Don't suffer alone if you get the help it will get better. There are links at the bottom of the page to charities that can help. coping well and a good life to look forward to. Here are my wins that arrived through the post this week. First up I won a £100 voucher for Show and Stay this is part of a huge prize I won at Easter. I would love to go to London and see a show. Not sure what I would go and see. I know I would quite like to see Billy Elliot The Musical. I am hoping to head up to London in September to meet up with Jules Hudson and the fan group so it might be something I can combine if we stay up there for an extra day or two. Problem for me is you can't just use the voucher on tickets for the show you need to use it for accommodation too so it might be a case of us moving hotels over the time. I had a quick look at it and the lowest price I seemed to get for a show and a hotel on their site is £215. So it would still cost us £115 with the voucher for the one night. If we don't get around to it I can pass the voucher on to another family member and the voucher is valid for one year. 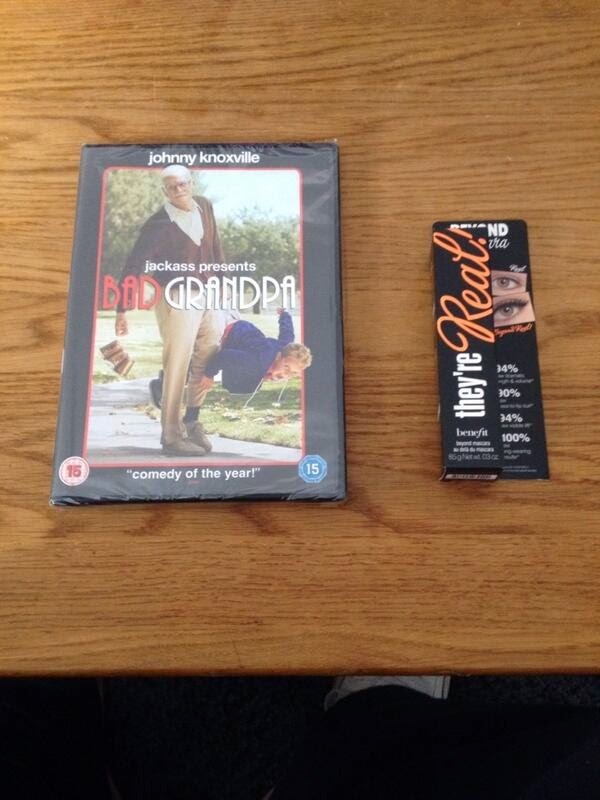 My second prize to arrive on the same day was a Artificial Eye Cannes bundle of DVDs. This was a surprise prize that I had no idea I had won but after a little searching I found out I won it from the Cine Vue web site. 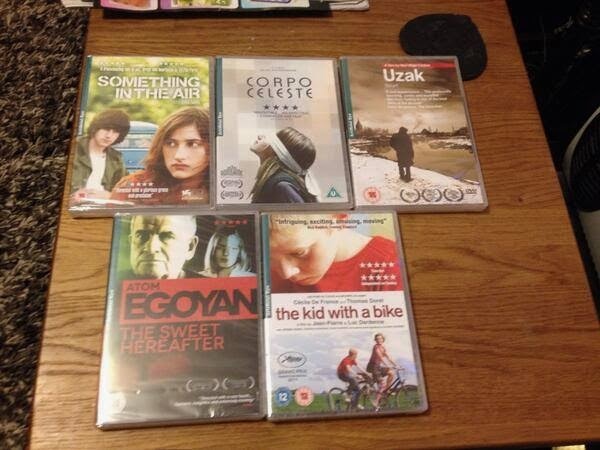 The DVDs are: Uzak; The Kid With a Bike, The Sweet Hereafter, Something In The Air and Corpo Celeste. I think I like the sound of Something In The Air the best but will try and get around to watching them all. It's always lovely to have a surprise win. My next win was also from the huge prize draw I won at Easter. It was two Children's Me Seed Pantry Starter Kits. 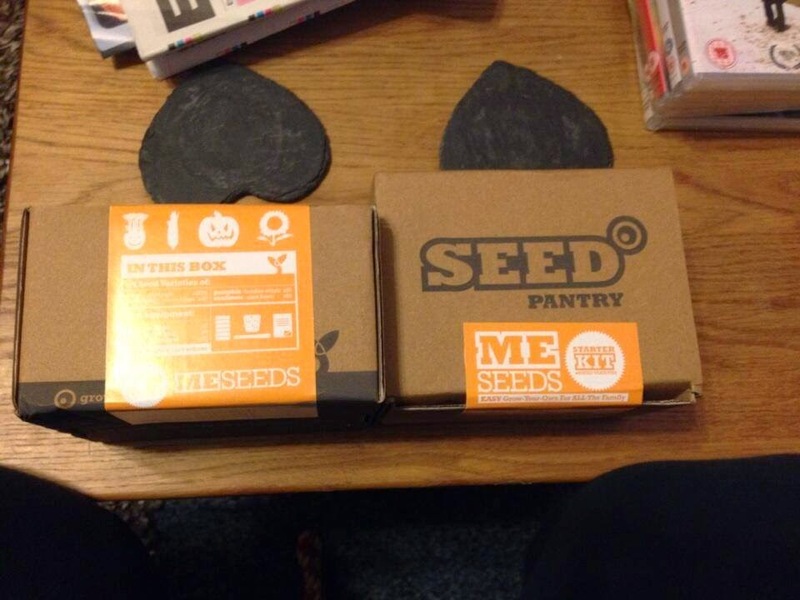 Inside each kit there is seeds for cress, sweetcorn, pumpkins and sunflowers. A great little kit for children to plant and watch grow for themselves. It also comes with compost discs, mini starter pots and seedling markers and instructions. This might be something I pass on to my nieces and nephews though Neil seems to want to try and grow some of it in our backyard so we might use one of the kits ourselves. My final prize to arrive this week was two BoBo Buddies - These are very cute. 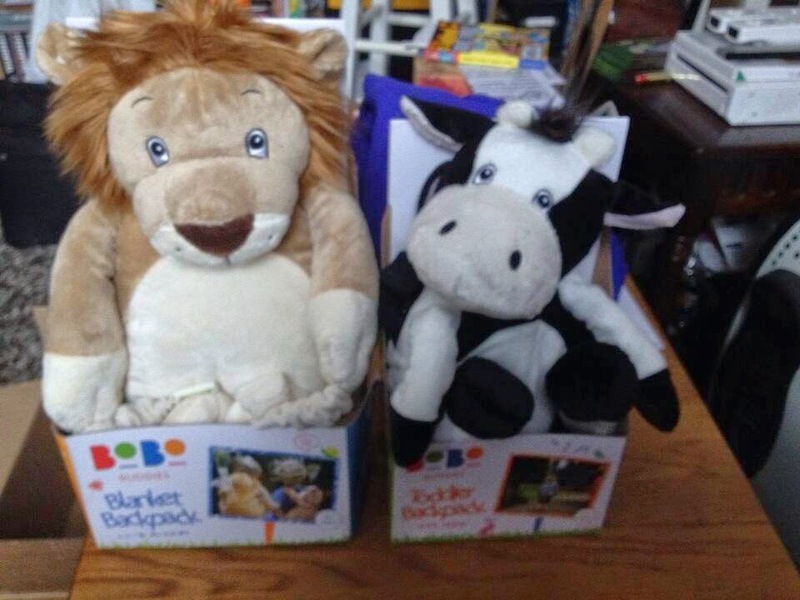 We have Dusty the cow which is a toddler backpack with reins and Roary the lion which is 4-in-1 toddler backpack with a pillow and blanket. My favourite is Roary. I think these are great and little kids will love them because they have really cute friendly faces and they are so soft. And finally. Not a competition prize but yesterday Neil and I took our dog Shortie to our local park fun dog show hosted by Happy Staffie Rescue. 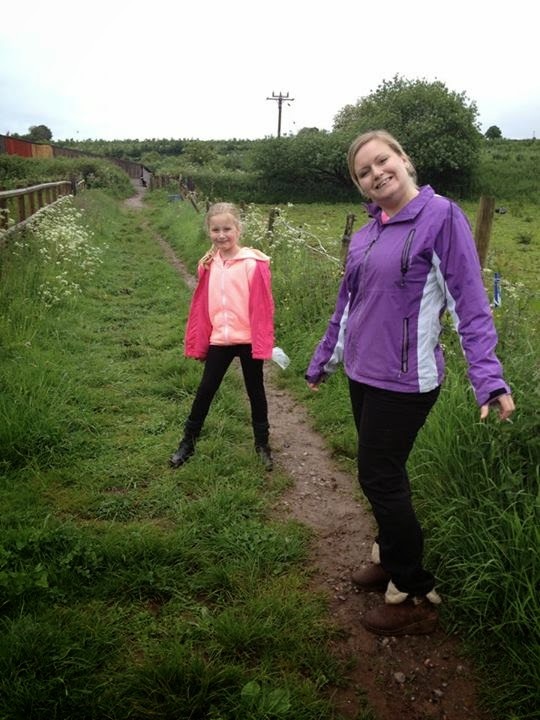 When we first got there it absolutely chucked it down with rain but it didn't last long and it started to brighten up. It was very windy but the turn out was great. Shortie saw a lot of his doggie friends there. We entered Shortie into three of the categories which cost £1 per entry but all the money went to the Happy Staffie Rescue. 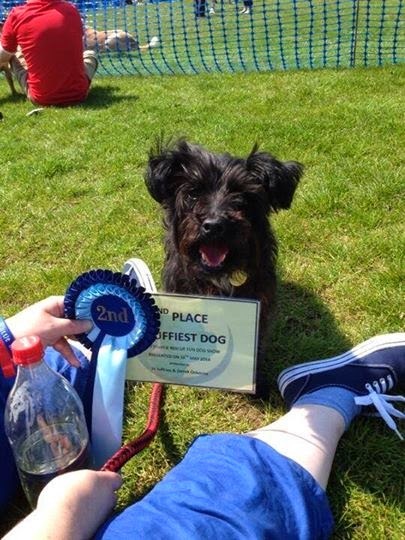 We entered him into The Golden Oldie category (for dogs over 9 years old) which he placed second. Then we entered him into Best Dog there was a lot of competition in this category so he wasn't placed. Finally we entered him into the Scruffiest Dog category. Being a Yorkshire Terrier x Poodle his hair is naturally wavy. I am pleased to say he came first in this category. We were so chuffed we even stuck his rosettes on the wall. Shortie also got goody bags for winning and coming second with treats and a toy in each. It was a really fun day. Below is a list of my prizes I have won that haven't arrived yet. Good Luck everyone for the coming week. Activity and sticker books from Puffin and Penguin. Captain America Goody bag from Hollywood News. Tabasco Hamper from Staffordshire Living. 2 x Fanimals from Fanimal. 2 x Models Own sets from Echo Falls. £60 Frankie & Bennys Voucher from Munch Bunch. 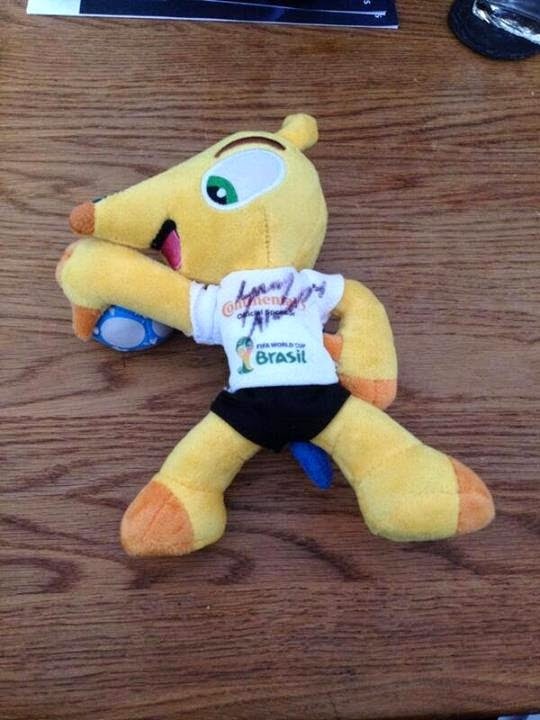 A Fuelco World Cup teddy signed by Gary Mubbut from Continental Tyres. Prada Candy Florale Fragrance from Fragrance Direct. £100 B&M Stores Voucher from B&M Stores. 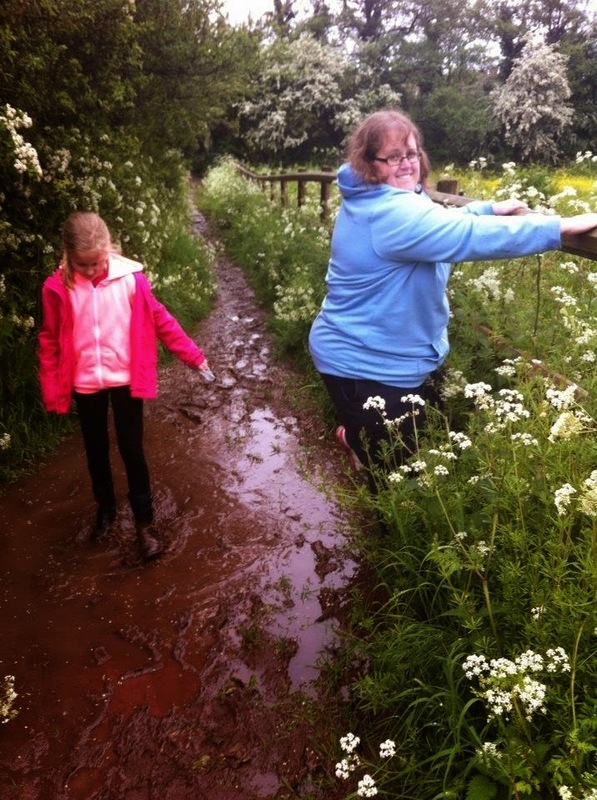 Whilst I introduced myself on my first blog post I thought it would be nice to introduce the rest of the family living in our home here in the West Midlands. 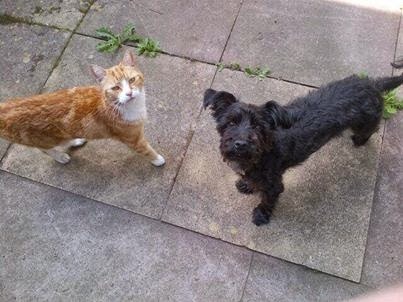 They are Neil (my fiancé), Shortie (the dog) and Tigger and Harvey (the cats). Here is a little bit about them all. First up my fiancé Neil. I met Neil in August 2009. We started chatting a couple of months before we met up on twitter. I joined twitter that year because my favourite tv presenter and longest crush Phillip Schofield had joined. At the time I was running his fan website (which sadly closed down after his official site came about and he started using twitter more) and I had good contact with Phillip so when he joined I just had to join too. Phillip saw I had followed him and he followed me back (I was the 9th person he ever followed on twitter...and proud hehe). He then started following random fans who followed him and one of them was Neil. So as he was following random fans I started following them too in order to try and get them to join our fan site. Neil and I got chatting through tweets and then he went away on holiday one day and I didn't have contact with him for about 3 weeks and I had this weird feeling inside like I really missed him. So when he came back from his holiday I told him that I missed him and would love to meet him. 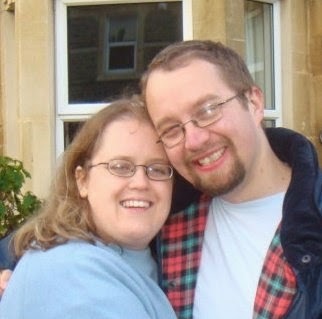 We chatted a little on the phone and then one weekend I invited him down to Bath to meet me. We met and we just clicked. Since then we have been together. Whilst I was in Bath Neil used to come down every weekend. 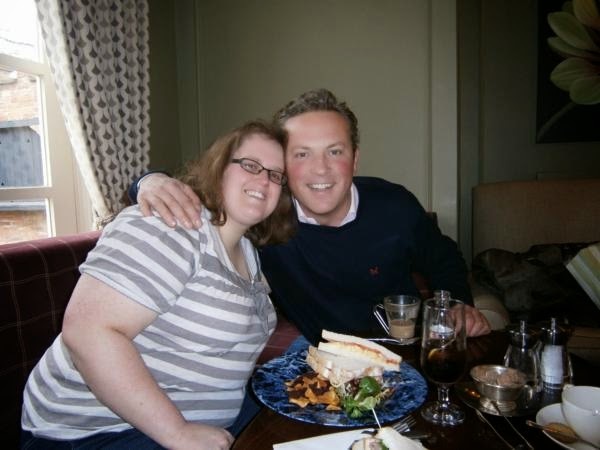 In 2011 Neil and I got engaged which went on to become news as Phillip tweeted about it here - so it was picked up by The Sun and various other web sites including Digital Spy. Just over a year ago I moved up to the West Midlands to be with Neil and we have been living happily together ever since. Neil is a wonderful kind, gentle, caring man and I couldn't ask for a better partner and soul mate. Since I have moved here I lost my job which isn't great and whilst I am looking for another job Neil has not put any extra pressure on me because of my various health issues (which I may talk about in future posts). Neil loves playing console games especially on his new 2DS, he likes playing Magic The Gathering, walking the dog and art amongst other things. It took me 30 years to find Neil but it was worth the wait. The best prize I have ever won is his heart. I am a very lucky lady and not a day goes by when I don't think about how lucky I am to be with him. And now onto our furry friends who brighten up our lives and are a big part of our family. 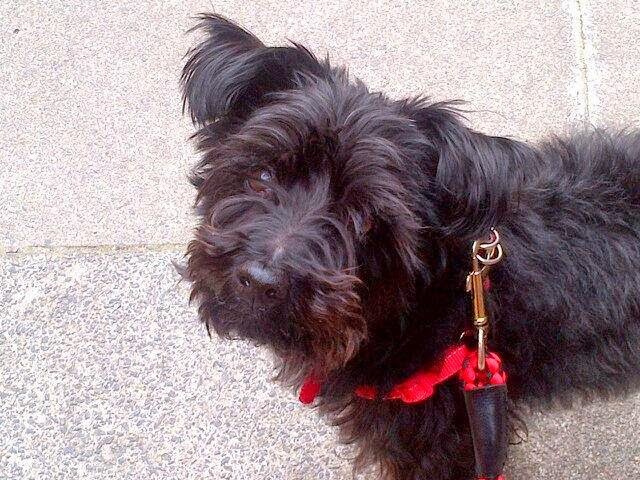 Shortie is our 11 year old Yorkshire Terrier x Poodle (Yorkiepoo). Back in 2012 I really wanted a dog of my own to take for walks and love and care for as I have always loved dogs. So I decided to go to the Bath Cats and Dogs Home and have a look at the dogs up there. I knew I wanted a little dog as I only lived in a one bedroom flat. In fact it worried me a bit that they wouldn't let me home a dog because I lived in a flat but when they came to look it was all fine. It was a ground floor flat and had plenty of places to walk nearby. I went up to the home a couple of times before I saw Shortie. He was in the part of the home where new dogs have just come in. As soon as I saw him I knew he was the one. I was a little worried about him being 9 years old but it was nice to adopt an older dog. I took Neil up to see Shortie the next day and put my name down to have him which was a good job as other people had started taking an interest in him. That week I had an inspection in my home which went really well and on the 18th March I was allowed to collect him and bring him home. I asked his back story and from what I was told he came to the home as a puppy and was adopted by a lady who had him for the 9 years but sadly one of her relatives became seriously ill and she had to go to London to look after them so she couldn't take Shortie with her. It must have been extremely heartbreaking for that woman to give him up. In a way I wish I could have contact with her just so that she knows Shortie is being looked after well and is a very happy boy here but then I wouldn't want to upset the lady in any way either. Shortie settled in really well. 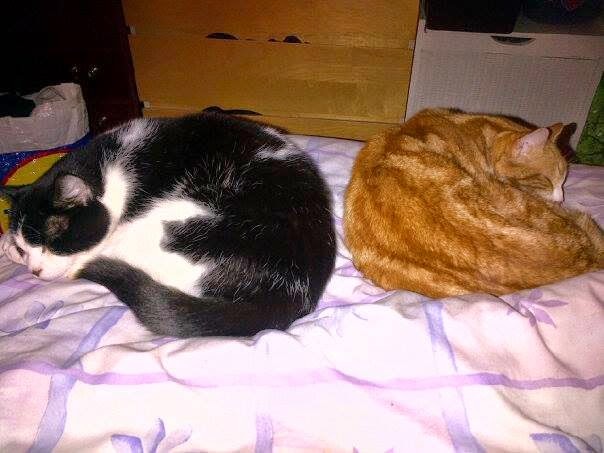 I was worried that my cat Tigger wouldn't like him but within a month of Shortie being with us they were snuggling up on the sofa and have been best friends ever since. Shortie loves nothing more than going out walking with his doggy friends. He can walk and walk and walk. He loves people and is mostly good with other dogs as long as they are not in his face too much. He growls a little sometimes but it's not in a nasty way, in a way I think it's him talking. We made some great friends in Bath and we have made some great new friends here now too. I am so glad I found Shortie. Tigger is my 13 year old cat. I have had Tigger since he was 8 weeks old. 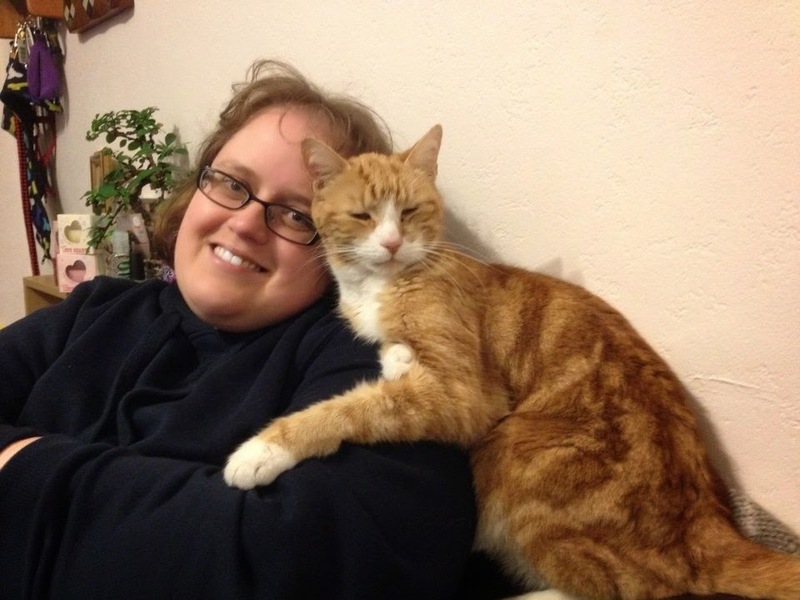 He has always been a really friendly boy with a bit of an odd purr at times. When I first got Tigger I helped my Mum run a B&B in Bath and Tigger used to be so funny because when people used to ring the door bell he would run into the hallway and lay down ready for the guests to fuss over him. Tigger has always been an outdoor cat. He comes in with the family sometimes but he loves nothing more than being outside sunbathing. I think he thinks he is a dog sometimes too, as he loves Shortie so much that he even likes to come on walks around the block with us which makes people stop and ask about him. He is getting on a bit now and sadly recently has been diagnosed with an over active thyroid so we are having to give him tablets twice a day everyday but he is a very happy boy. 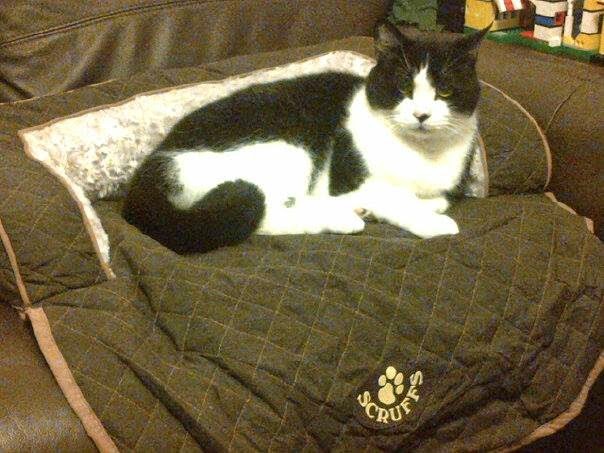 Harvey is Neil's 13 year old cat. 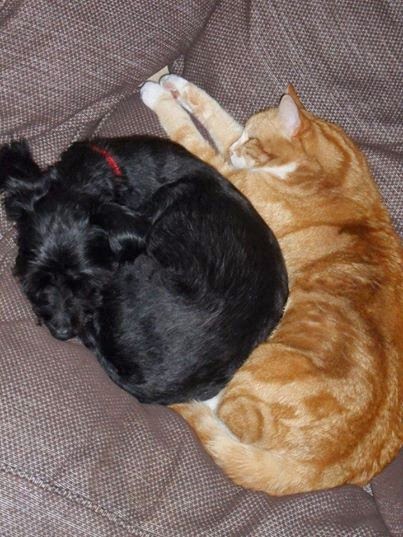 Neil has had Harvey since he was a kitten. He is a lovely boy but a little bit shy. If someone new comes into the house he goes off and hides. Harvey has been an indoor cat for at least the last 10 years of his life so he doesn't go out much, only into the yard when we go out there. Harvey and Shortie get on okay but they are never going to be best buddies. Harvey doesn't like Shortie getting too close but they will sleep on the same bed together. Harvey is sweet, once he gets to know you he is really loving. I am glad all the animals have settled in well together. It was one of our worries when I deicded to move up with Neil. I think it helps that they are all older animals. Each week I hope to post my wins of the week here on my blog (if I have any). As I mentioned before in a post I have a Winspiration book where I write down all my wins. I don't put any wins into my book until they actually arrive so these posts will be about wins I have received with a list at the bottom of wins I am waiting on to arrive. 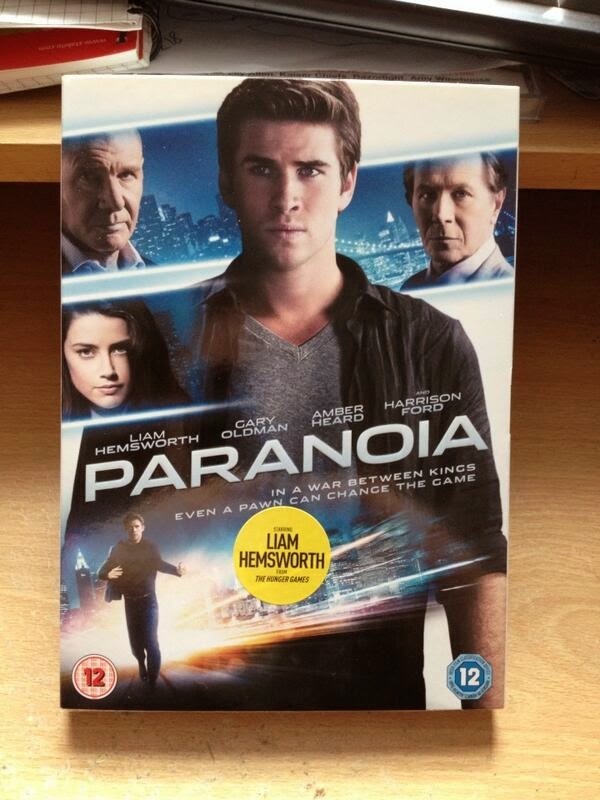 So this week started off with a win of Paranoia on DVD. I won this from Hit The Floor website. It stars the rather dishy Liam Hemsworth, and Gary Oldman and Harrison Ford. According to the blurb on the DVD it's about two tech billionaires who are trying to out do each other but then a rising star falls in between their life and death game of corporate espionage. By the time he realises his life is in danger he is in too deep and knows too much to let him just walk away. It looks like a cool film and I look forward to watching it. My next win was Diana on DVD. I won this from the Chris and Phil Present website. This is a film I really wanted to win as I missed it when it was on at the cinema. 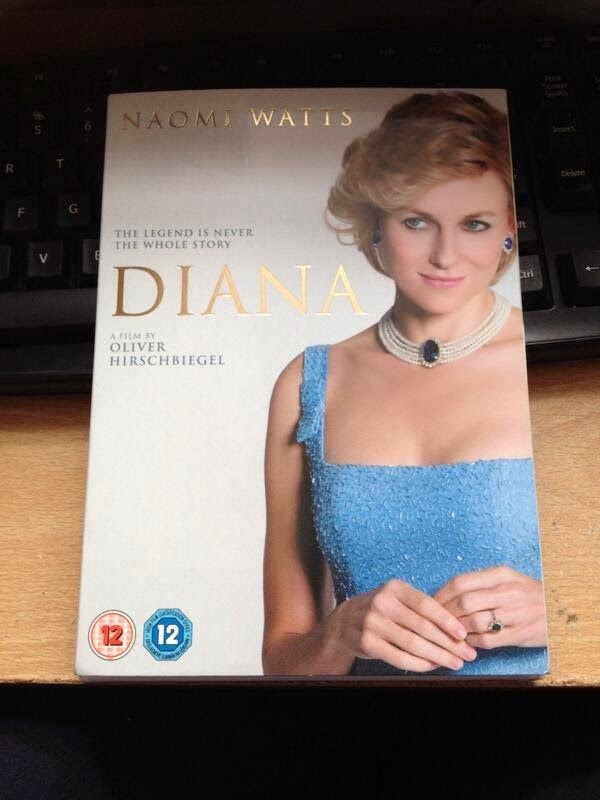 The film stars Naomi Watts as the role of Diana which I think was really brave of her to take on. According to the blurb on the DVD it's about the bitter-sweet story of the last man to truly capture her heart that has never been told before. I have always been interested in the Royal family and Diana and read many books on her from various people who worked for her or knew her. I definitely can't wait to sit down and watch this one. My next two wins both came on the same day. A copy of Bad Grandpa on DVD and I have no idea where this came from. Occasionally you get wins that arrive with no compliments slip or notes. It's lovely to receive a surprise win. This DVD looks really funny and comes from the jackass team so I imagine it's going to be outrageous. According to the blurb on the DVD it's about an 86 year old man who is unexpectedly saddled with the care of his 8 year old grandson who then causes trouble and mayhem on real life people. It's a hidden camera comedy. Sounds very funny! I also won a Benefit Beyond mascara from Feel Unique which I might give to my sister or maybe she could teach me how to use the stuff! I am 35 and never have applied make up! Is that sad? 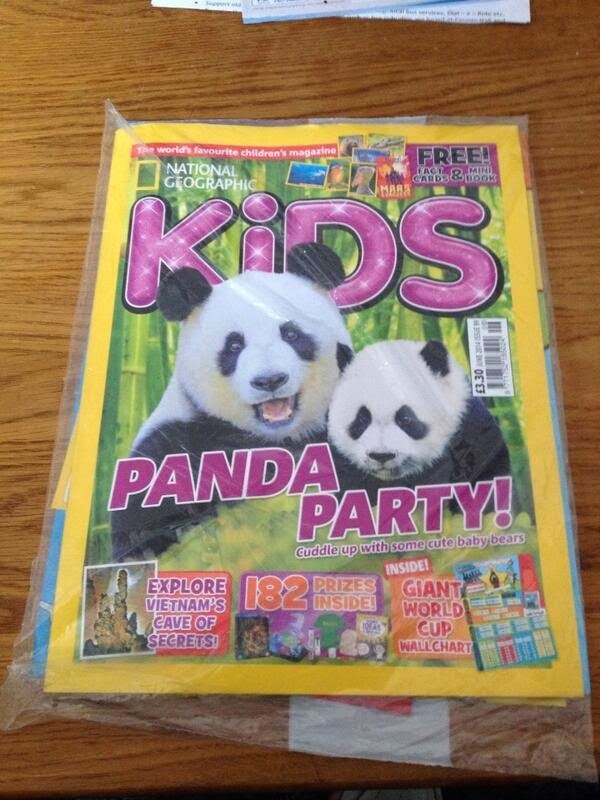 Finally I received my first copy of National Geographic Kids magazine. I won a 12 month subscription in a huge Easter competition win ran by Little Bird and Micro Scooters and this was part of it. The magazine is great and I will definitely be passing it on to my niece. What's more it has 182 prizes to be won so something for my niece to enter. I love nothing more than winning prizes for my extended family. The magazine is full of lots of great information on wildlife and other things including posters. There is also a wall poster for the world cup too. I am looking forward to receiving this each month to pass on. Also this week I decided to finally get around to spending my £50 Cotswold Outdoors voucher I won last year. I decided to buy these gorgeous Hi-Tec trainers. I just loved the colour and could really do with a smart pair of trainers for special occasions. A pair that isn't going to get wrecked from dog walking in the rain. I am really pleased with them, they are so lovely and comfortable and fit really nicely. 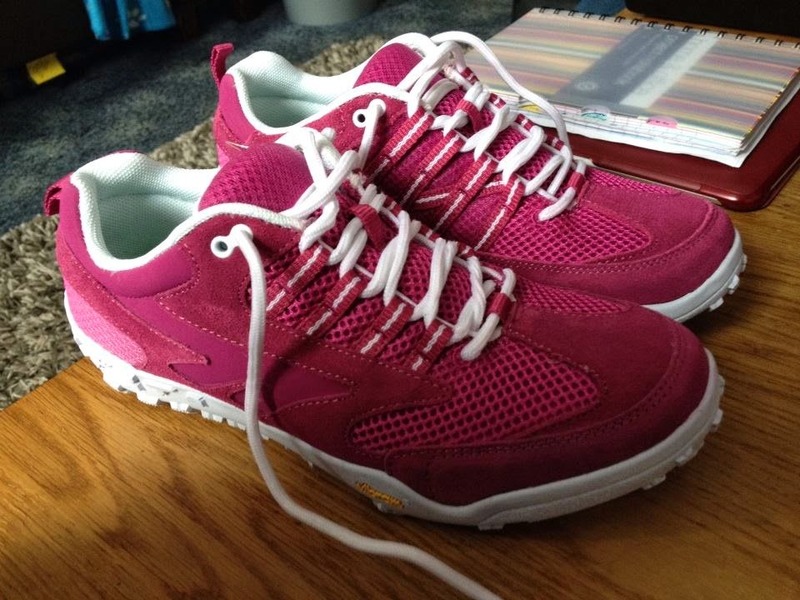 If you are interested in these trainers they are available for £50 on the Cotswold Outdoors page here. And that concludes my wins for this week. Below is a list of prizes that I have won and I am still waiting to arrive. Good Luck with the competitions everyone. I am really excited about my new blog and thought it would be nice to run a little competition to celebrate the start of my new adventure. There will be other competitions coming up in the future too but this one is to win a lovely £10 Amazon voucher which you can spend on whatever you like. To enter the competition simply complete as many of the steps as you wish to on the Rafflecopter form below. A winner will be chosen at random at the end of the competition. The competition is open to residents of the UK only. Good Luck. I started comping (entering competitions) way back in 2000. Things have changed a lot since those days. A lot of competitions back then were entering via postcard or filling in entry forms. Things have changed now and most competitions can be entered online for free so I thought I would start off with a few tips about getting started and then go into more details in further posts. "You have got to be in it to win it." This is the first tip and probably the most important one when starting comping. So many of my friends in the past have asked me how I win so much. The answer is I enter a lot of competitions. You have got to enter, enter. enter and most importantly not give up after a week or even a month if nothing comes through the door. It's hard when you are entering competitions and not winning anything but if you aren't in the competition in the first place you aren't going to win. Someone has to win the competitions. Think about what type of competitions you want to win. There are so many competitions online now that you need to start thinking what you want to win. Now I personally enter for goodies I know my family and extended family would like. A lot of friends who have started comping in the past have come back to me and said "I haven't won anything" and I ask them what they have been entering for and they say things like "gadgets, holidays, cash". Whilst these big wins are fantastic and are worth entering for there are also lots of lovely smaller goodies to be won. I personally love nothing more than winning a goody bag for say the latest film. You have to remember the bigger the prize the more people will be entering. Like I said I still enter the big competitions but I also aim for some of the smaller prizes too. It's each to their own really but it's always good to have an idea in your head as to what you would love to win and what would also make you smile to win. Once I have start posting my weekly wins you will see some of the smaller prizes that I win that also makes my family happy. Where to go to find competitions. I am going to compile a little list here of the sites I use and then go into more details on posts coming up on the blog in the future. For web/email competitions I use Money Saving Expert (also known as MSE by fellow compers) - I found the forum hard to use at first but in a future post I will show you exactly how I enter the competitions using the site. For Twitter competitions I use the twitter section of the Loquax Forum and again Money Saving Expert as mentioned above. Note: It's always best to make a new account just for entering competitions on twitter as it creates a lot of spam on your feed. For Facebook competitions I have a lot of comper friends on Facebook that if I see anything they share and I like I will enter too. Again I enter the odd Facebook competition that is found on MSE or Loquax. Become part of the Comping family - a great thing I have found about entering competitions is that it's like you are part of a family. Once you have joined the pages above and made friends with other compers on Facebook it's great to interact with each other. One of my favourite parts of the day is logging into Facebook or the competition forums listed above and reading what other people have won. For the most part the comping community is great, friendly, kind and happy. You get the odd problem here and there with cheats but for the most part if you need any advice someone from the comping community is there to help. My favourite place for support, help and chat with regards to comping is the facebook group called Competition Announcements & Friendly Chat - the people here are brilliant and always willing to help. Search for your wins - the great thing about Twitter is that when you win a competition on there they usually mention you (tag you) to let you know you have won. The same can't be said for Facebook and some Blog competitions so it's always advisable to check to see if you have won anywhere. My advice is to use Social Searcher to search for Facebook wins. Just go to the page and type in your name and "congratulations" or "winner" ie for me I would type in :- "Ellen Stafford" winner or Congratulations "Ellen Stafford". There are also a few Facebook groups you can join too where people post winners lists - I recommend joining The winners circle happy one. Also another great way to search is through Google again searching using the above terms. Of course one of the best ways to find out if you have won is through comping friends tagging you on Facebook when they see you have won and vice versa if you see someone on your friends list has won a competition tag them in to let them know. Get a Winspiration book - next time you are out and about try and buy a lined A5 notebook to be your new Winspiration book. Every time you win a prize write it in the book so when ever you are feeling low about comping or you aren't winning you can look back through your old wins and remember your past great wins to spur you on and to not give up, your next win could be just around the corner. I have a Winspiration book that has every single prize I have won written in from way back in 2000 right up to my most recent win, prize number 1086 (yes I number my wins) and it's great to get it out and look back. Sometimes you forget some of the past prizes. Here is a picture of the inside of my book so you can see how I lay it out but it's up to you. It's also a good idea to have either another book or place to write down prizes you are waiting for because sometimes companies take a long time to send things out and you might need to chase them up. There will be more info on this later on in my blog. I think that is all for now. There will be more tips and more detailed posts about a lot of the above to come in the future. If you wish to make me your first comping friend you can add me on Facebook or my comping account on Twitter. If you decide to start entering competitions I wish you the best of luck and would love to hear from you about your wins. 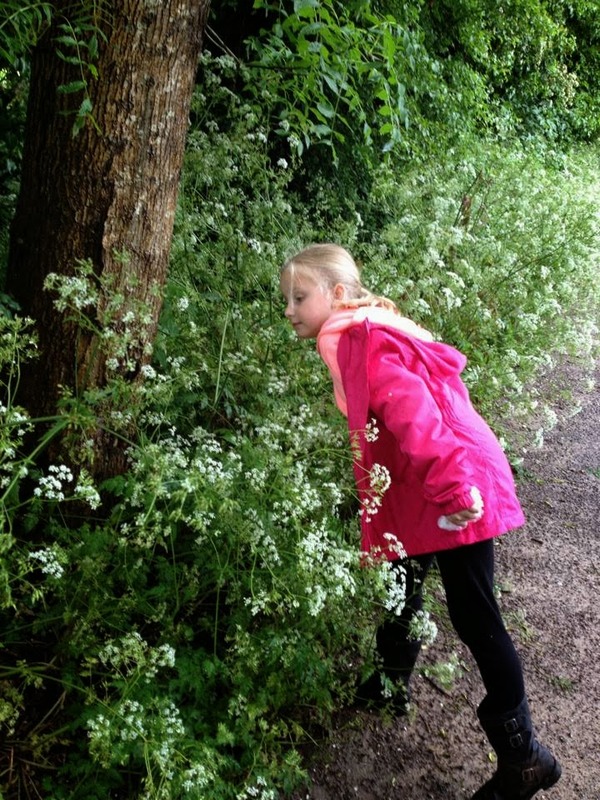 Hi and welcome to my new blog. This is a bit scary starting a blog. 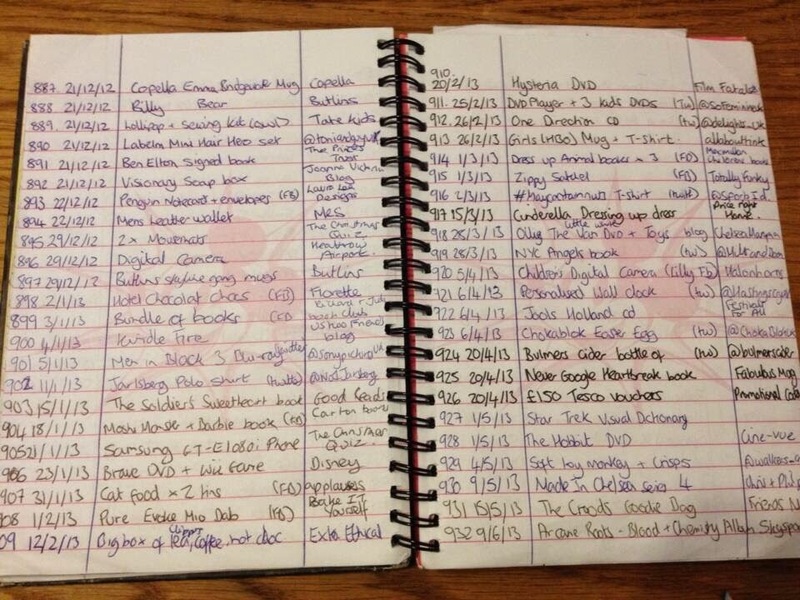 Many years ago I had an online diary which was slightly different to a blog. So firstly I should introduce myself. 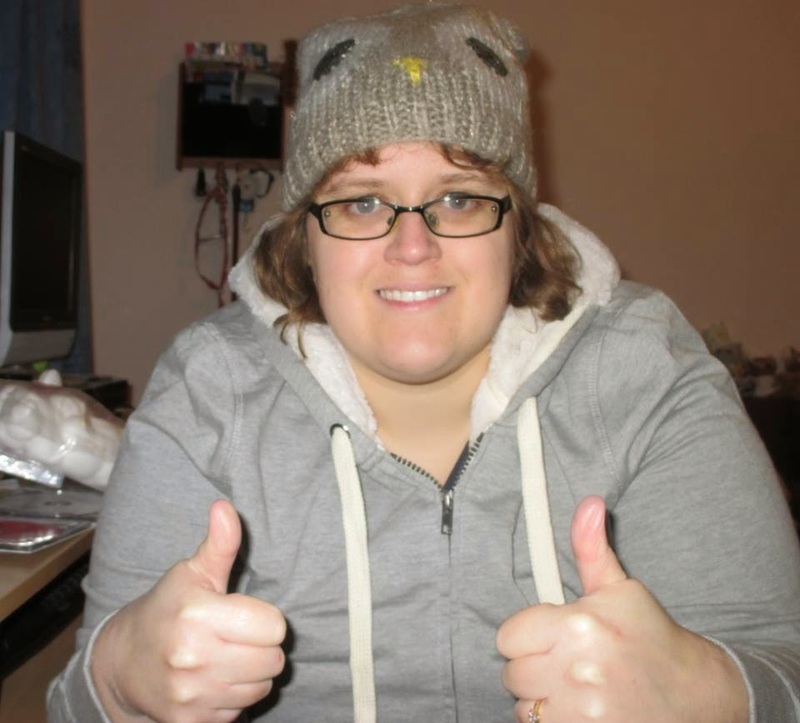 My name is Ellen, I am 35 and I live in the West Midlands with my fiancé Neil, our dog Shortie and our two cats Harvey and Tigger. 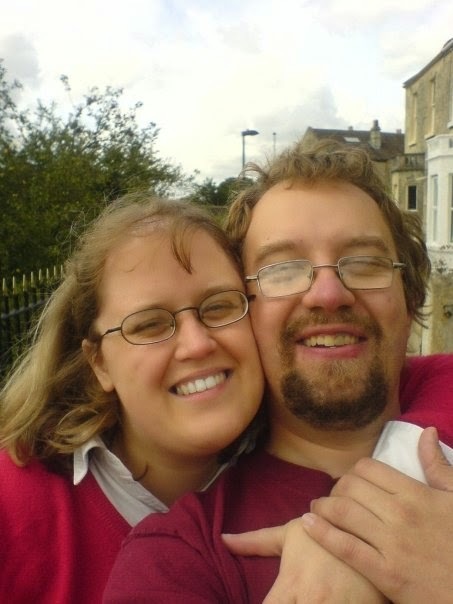 I am originally from Bath, Somerset but moved to Kidderminster last year after dating my fiancé for 4 years. 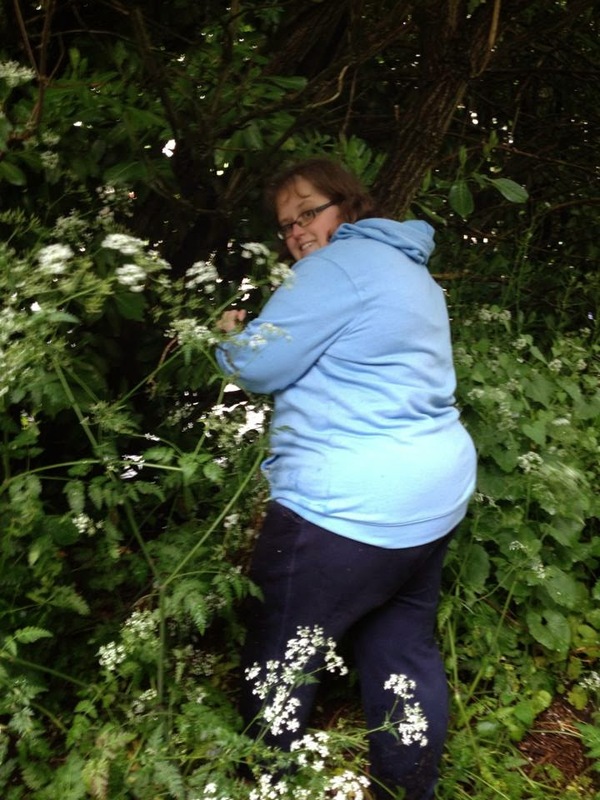 My hobbies mostly comprise of entering (and hopefully winning) competitions, walking the dog, playing games on the kindle and Nintendo 3DS, reading, listening to music and running the Jules Hudson Fan club on twitter and facebook. I decided to start a blog awhile ago but it has taken until now for me to pluck up the courage and actually start it. 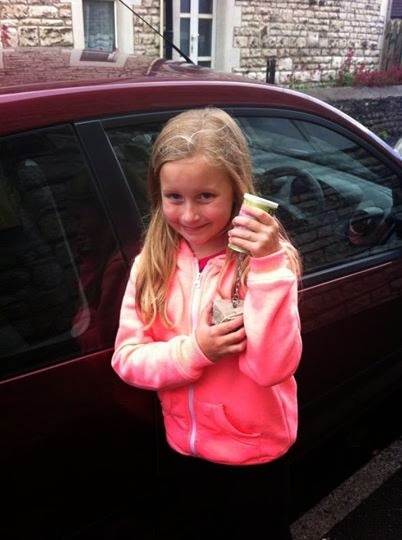 I have been entering competitions since 2000 on and off and have won over 1000 prizes. I often get asked for advice on how to get into comping (entering competitions) and I thought maybe I could use the blog as a way to explain how I enter competitions and to show everyone what I win and also to talk a little bit about other things happening in my life. To be honest most of the competitions I enter are very quick and easy to enter. People often say to me "Oh I never win anything." but this is mostly because people are too quick to give up on what is an absolutely amazing hobby and for the most part a lovely community of fellow compers to be part of. My motto is "You have got to be in it to win it!" and that is so true. Anyway I think this is going to be all for my first post. Thanks for reading.